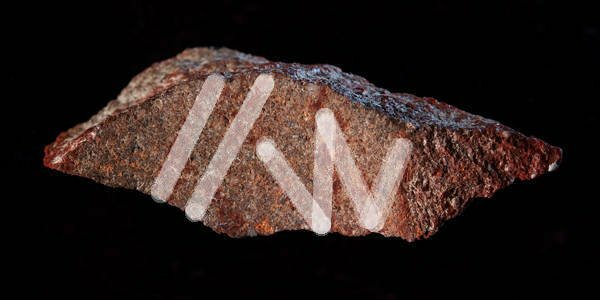 Pics Scientists have discovered, tucked inside a cave in South Africa, the oldest drawing yet, made around 73,000 years ago. And it looks suspiciously like a worldwide web address. The drawing consists of from red scraggly lines arranged in a cross-hatch pattern on a slab of rock, some marks are horizontal, others are at angles like forward and backward slashes. The art is all very minimalist, abstract, and open to interpretation – some journos have even described it as the world's first hashtag. Pfft, what do they know? Here on the El Reg archaeology desk, the scribblings to us learned vultures look like //w – traces of humankind's earliest http://www... URL written down for the first time. The "art" predates all previous evidence of human sketching by at least a whopping 30,000 years, according to a paper published in Nature on Wednesday. 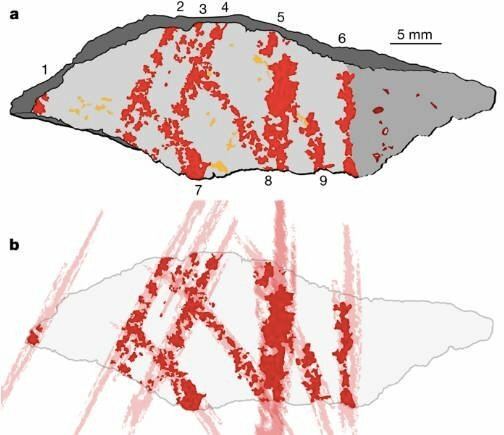 “Before this discovery, Palaeolithic archaeologists have for a long time been convinced that unambiguous symbols first appeared when Homo sapiens entered Europe, about 40,000 years ago, and later replaced local Neanderthals,” said Christopher Henshilwood, first author of the paper and research chair at the University of the Witwatersrand, Johannesburg in South Africa. A 2-D recreation of the sketch ... Image credit: Henshilwood and Nature. The illustration was discovered in Blombas Cave, a well known archaeological site on the along the Southern Cape coastline in South Africa. Researchers have been poking around the chamber and excavating objects for over 25 years, it contains material dating back to over 100,000 to 70,000 years ago, during a time period known as the Middle Stone Age. Is it really a deliberate drawing or just a series of markings made randomly? At first glance, it’s difficult to tell. But the team were convinced when they examined the sample under a microscope. The hunk of silcrete rock was smeared with ochre, a natural clay mixture. In that same cave, the researchers also fished out a toolkit containing ochre, a heated seal bone, charcoal, and abalone shells containing a pigmented compound that has been dated to over 100,000 years ago. “Experimentally marking silcrete flakes with ochre crayons or paint indicates that the lines on [the sample] were produced with a crayon and thus constitute a drawing,” the paper said. So there, it is art. Other examples of early human creativity include an engraving on the shell of a mussel dated back to 540,000 years ago, thought to be done by a Homo erectus. A series of streaks were also discovered in three caves in Spain made by Neanderthals 65,000 years ago, although there is some debate as to whether or not that constitutes art. “This demonstrates that early Homo sapiens in the southern Cape used different techniques to produce similar signs on different media,” says Henshilwood.